Randy Pausch Number One on Amazon and Holding! 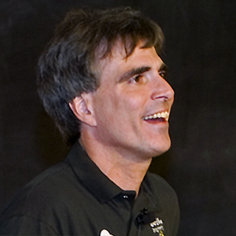 Hyperion Publishing gave Professor Randy Pausch a $6.7 million advance for a book based on his now famous “Last Lecture” given at Carnegie Mellon (if you don’t know who Pausch is, you can see the lecture by clicking here: Carnegie Mellon Professor Randy Pausch Gives Inspirational “Last” Lecture). Many pointed out that this is an example of what is wrong with the publishing industry. I have to disagree. I think this is what’s right with the publishing industry. Randy became an Internet phenomenon. Millions watched his lecture online. It’s heartfelt and inspirational. I have no doubt that this investment will pay off for Hyperion (consider the money they will make off of selling International rights, film rights, etc.) Giving Paris Hilton a multi-million dollar advance is what’s wrong with the publishing industry. 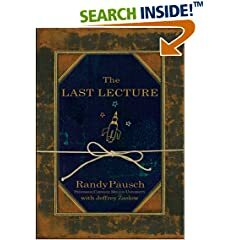 I’m happy to report that Randy Pausch’s book is number one on Amazon and it has been for quite some time now. Good on you Professor Pausch. BTW – Some people have actually given it a one star review and attacked Pausch. These same reviewers no doubt have a closet full of coats made out of puppies.